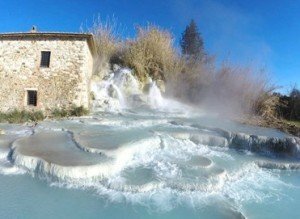 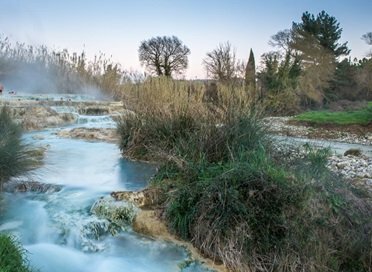 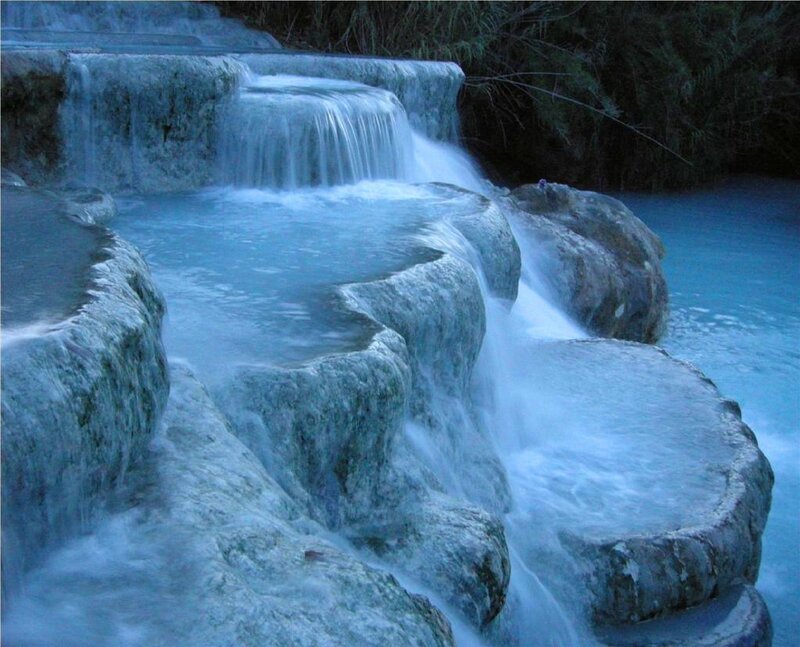 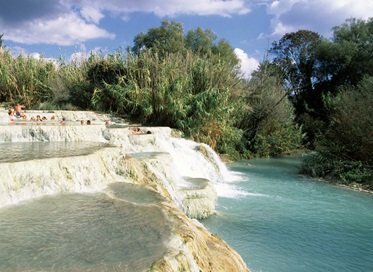 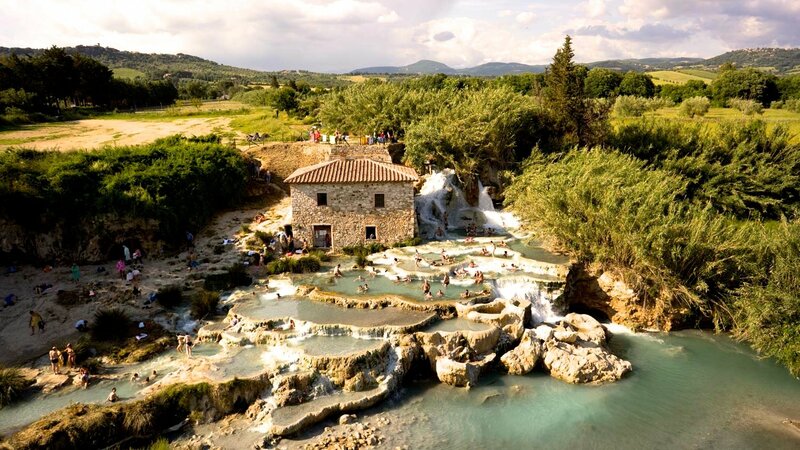 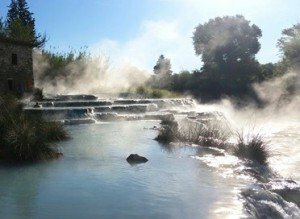 The Mulino Waterfalls are one of the most beautiful and fascinating locations in the Tuscan Maremma. A mystical and breathtaking place, the waterfalls will leave you in awe of the extraordinary beauty and force of nature. 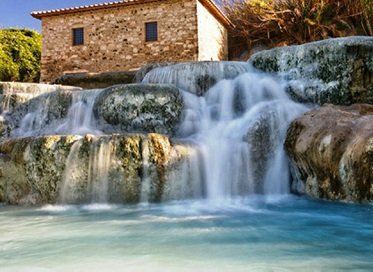 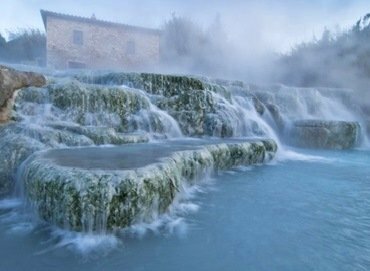 Out in the open and surrounded by lush vegetation and rolling hills, the Mulino Waterfalls are the chance to immerse yourself in warm thermal and sulfuric waters for free while enjoying the incredible scenery in complete relaxation and tranquility. 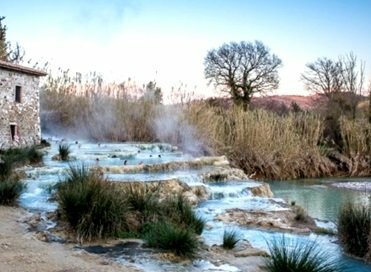 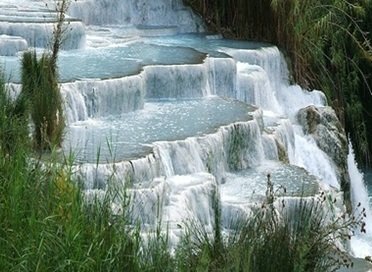 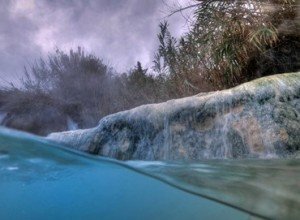 The Waterfalls are carved into a big block of travertine rock, which, with the pass of time, has been eroded away to form many small waterfalls and poolswhich flow continually. 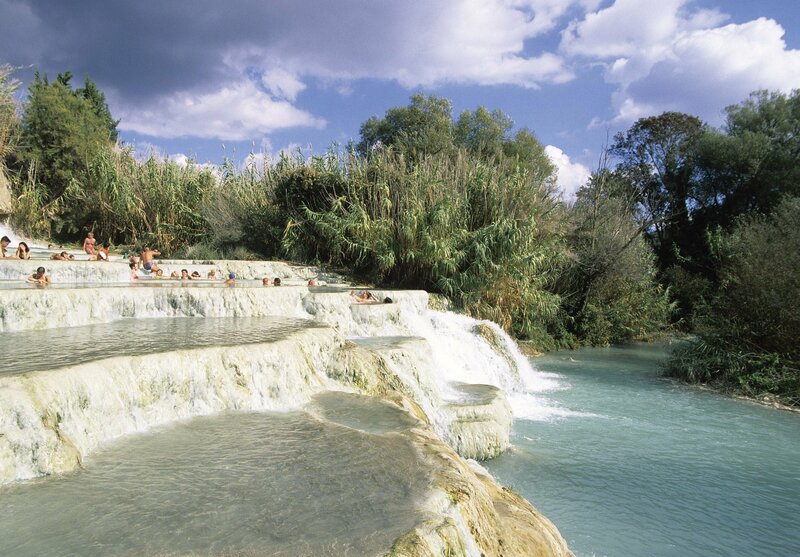 Loved by tourists and locals alike, the waterfalls are truly a place unlike anywhere else in the world.